As a Christmas gift this year my mother treated me and my siblings to a U.S shopping trip! Not only was it a long day if shopping but also some nice time spent with my mother :) although it was a long day everyone had a good time. In Canada after Christmas we have boxing day/week sales, basically retailers want to get rid of their old winter stock for newer spring stock. I've noticed this doesn't really happen in the States, however they do have similar sales going in the weeks following Christmas after the new year, thus is what I picked up beauty wise. First off my polish! I had been hearing about the dupes and holos Urban Outfitters had been putting out and was lucky enough to find what I was looking for! The only unfortunate part was that there were no deals to be had :( I picked up Sea Dust and Green Holo. 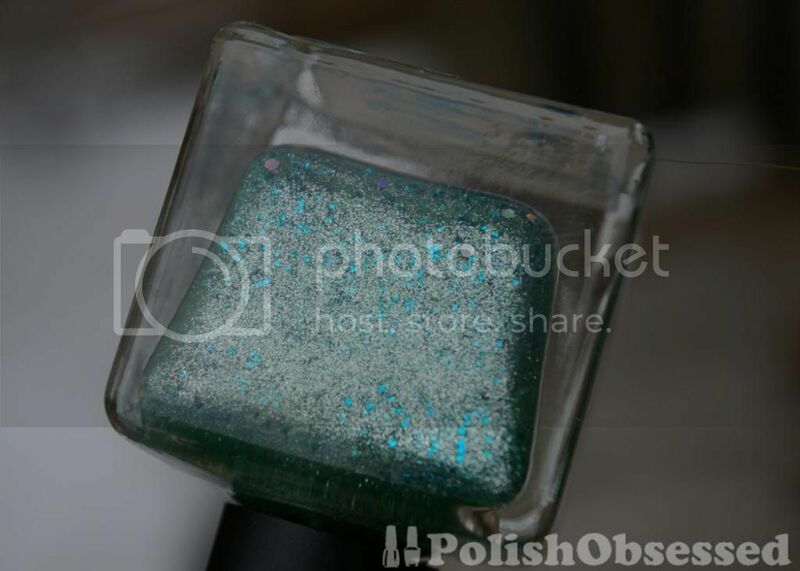 Sea Dust is a dupe for Deborah Lippmann's Mermaid's Dream, or so I have heard. I do not own both to compare, but from what I have seen in the bottles, they are pretty close if not identical. I don't even know where to start on describing this polish! It has a seafoam green shimmer base with teal hex glitter and holo glitter sprinkled throughout, very mermaid indeed! Green Holo is exactly what the name suggests, and boy is it ever holographic! I have heard others comment that it is more blue than green, bur after I compared it to my other blue holos I still consider it a green shade. I find it may pull a little more blue due to the prismatic effect. Most awkward bottle to showcase a holo by the way lol I tried my bes to capture it. 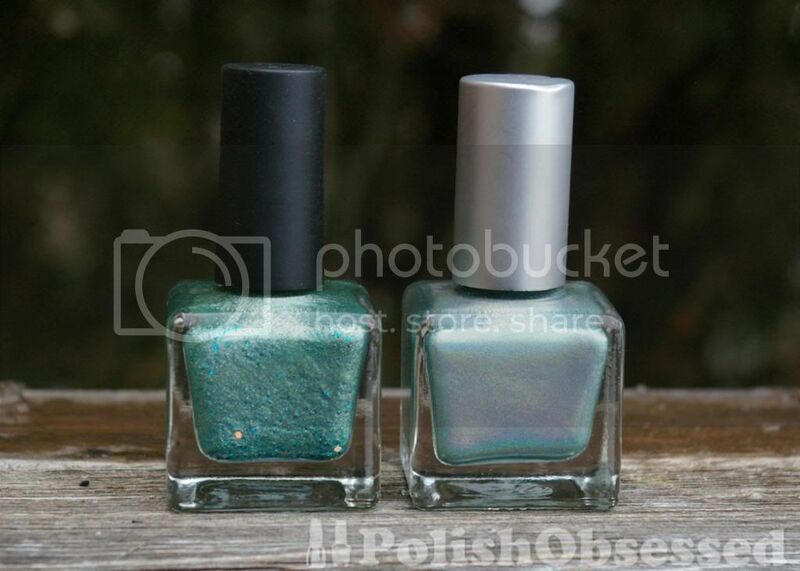 The bottle shots do not do this polish justice, check out the swatches of both of these Urban Outfitters polishes are below. My camera usually has a hard time photographing holos and these were not a problem, I took these with my lamp light! 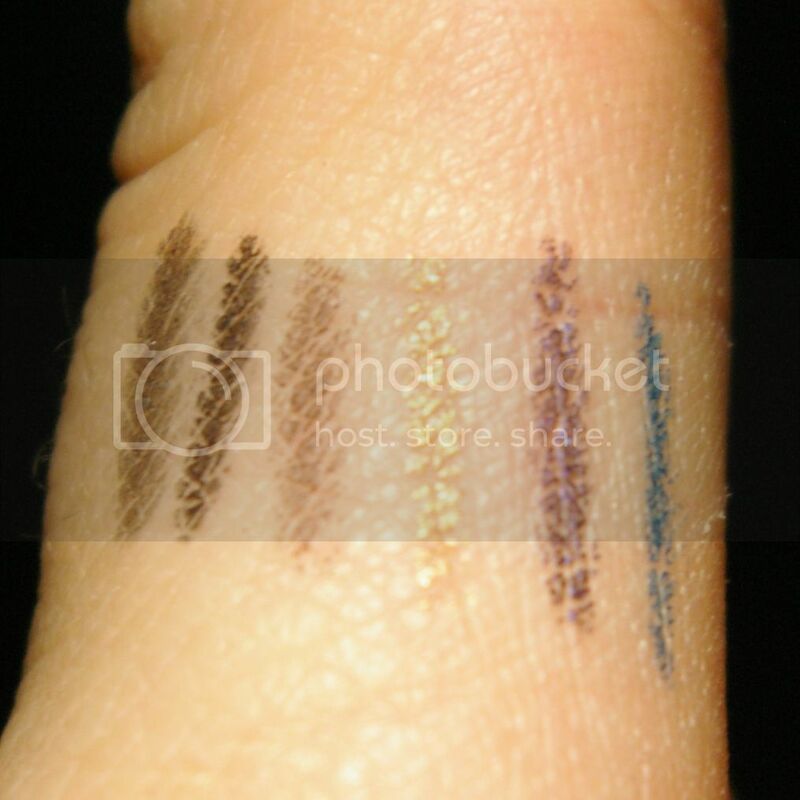 Below are swatches for both polishes, two coats each. Another polish I picked up was from OPI's collaboration with Mariah Carry, which I was not to impressed with colour and name wise. I don't get the whole "liquid sand" texture thing. I picked up the only polish I found interesting, Pink Yet Lavender I dislike the name lol. 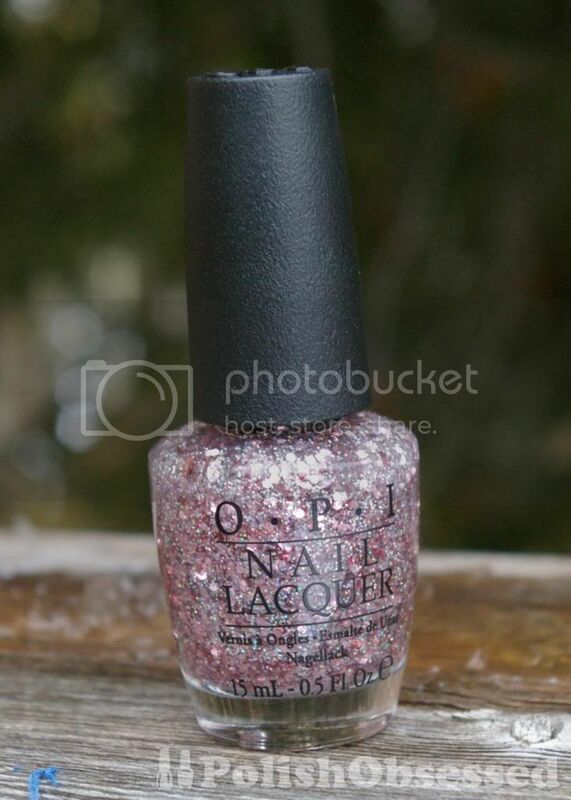 The polish however is an awesome pink hex glitter with holo glitter in a clear base. Next I picked up a lip balm and polish duo from Lip Smackers! I got this at Wall Mart where all Christmas gift sets were reduced to 50% off the original price, I picked this up for $2.50. The polish is a mini and does not have a name but it is awesome! 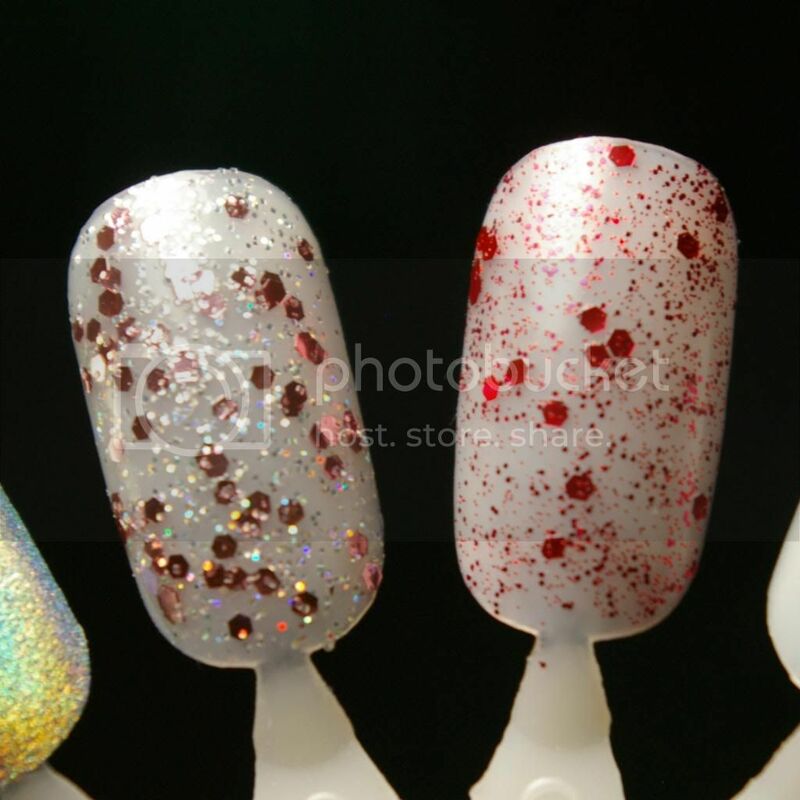 Red hex glitter plus regular and mirco glitter. Which a great combo. The lip balms are Candy Cane Cake and Buttercream Frosting. 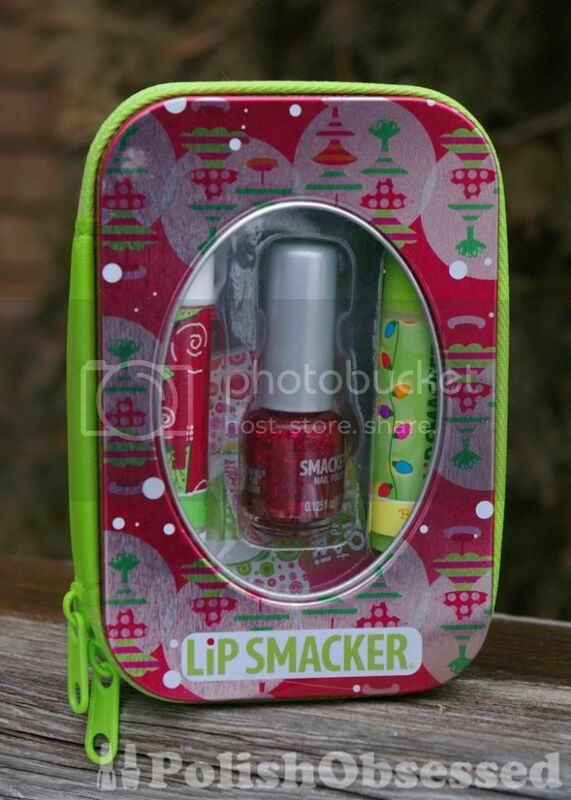 I love the little tin they come in :) it's zippered and perfect as a on the go makeup bag! 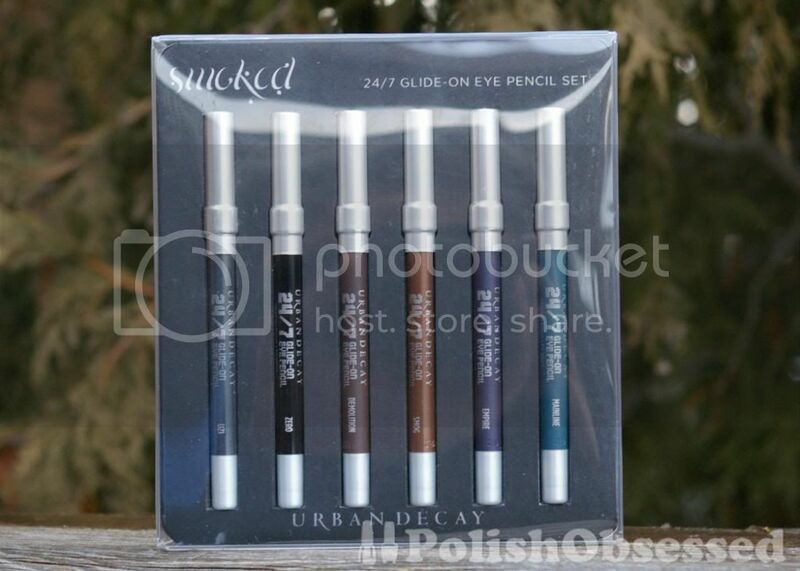 At Sephora I got an Urban Decay 24 hour eyeliner set, I originally just wanted one, but the kit cost only $4 more and you get 6 different colours! I also spotted this today at Shoppers for $47!! 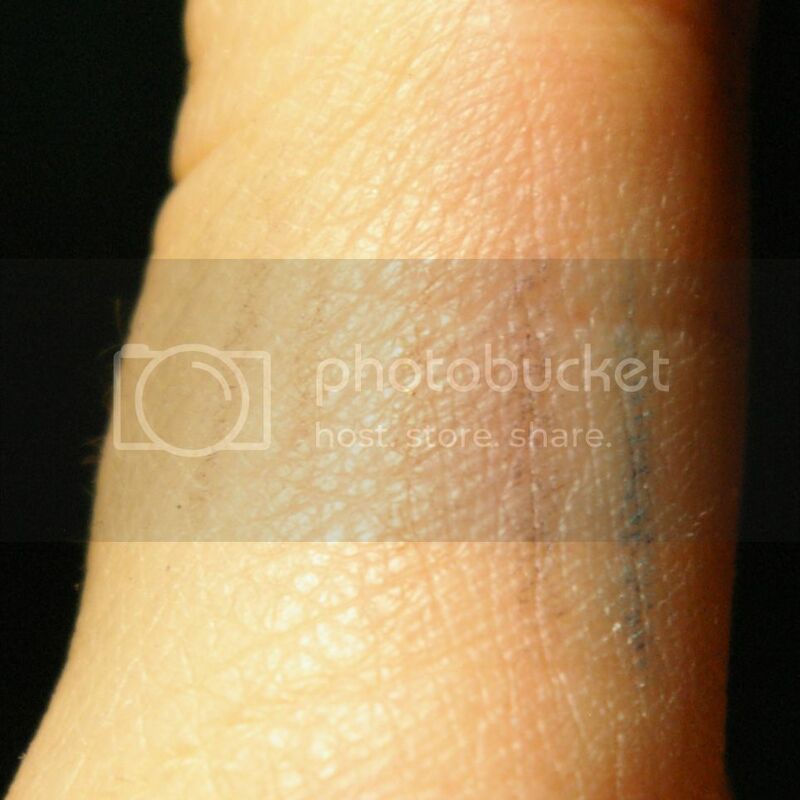 I tested them out on my hand, I found the colored pencils to be more pigmented and last longer when wiped off. I can see myself having fun with these! I am not one to wear a lot of makeup, but eyeliner has always been a must for me. 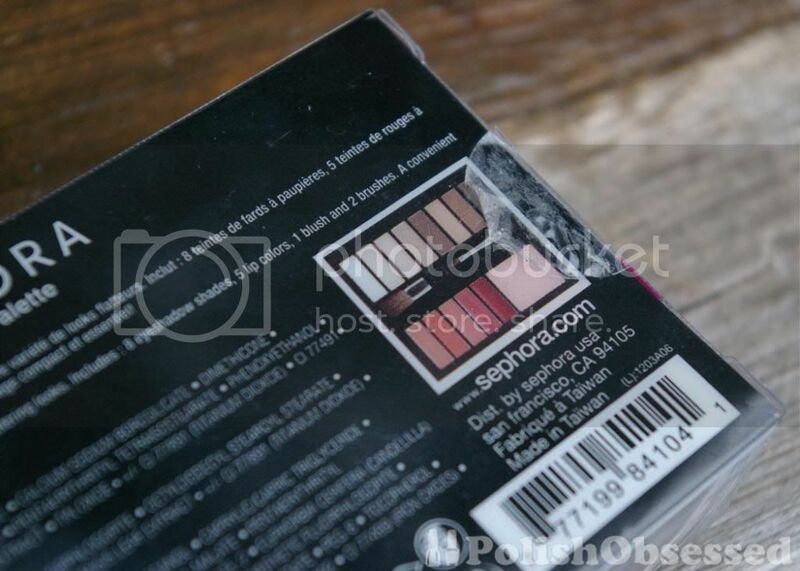 Next makeup item I could not resist picking up, Blinged Palet, which is a Sephora branded eyeshadow, lip gloss and blush pallet. This is perfect for me, like I said I don't wear much makeup but when I do I prefer neutrals, the gloss and blush were a plus! This was on sale for $15. 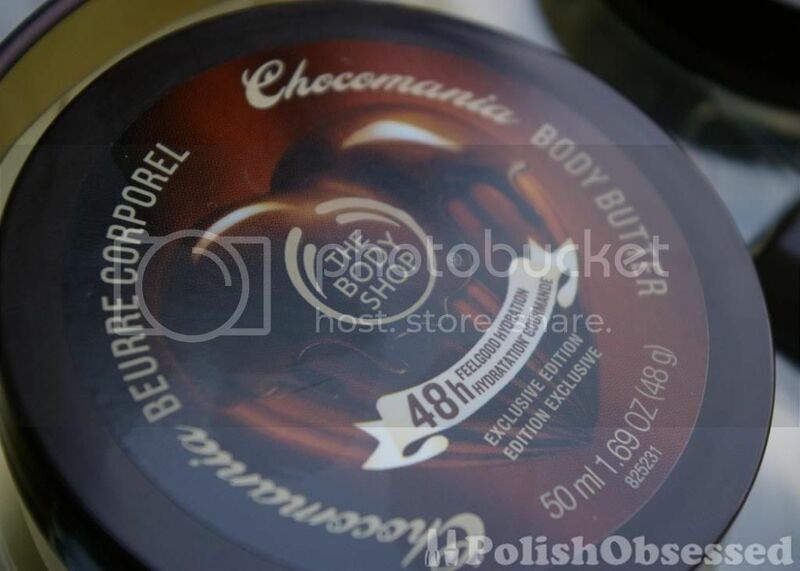 The last beauty item I picked up is from the Body Shop, a Chocomania gift set consisting of Chocomainia scented body butter, body scrub, body wash and lip butter. If you haven't smelled this scent before it is the perfect chocolate scent. I have smelled other chocolate scented, perfume, lotion, etc and this is the only one I can stand. It smells like cocoa and almonds, not too sweet and fake like others :) I snagged this kit for only $10! I have a gift certificate from them and I was going to give it to my sister. 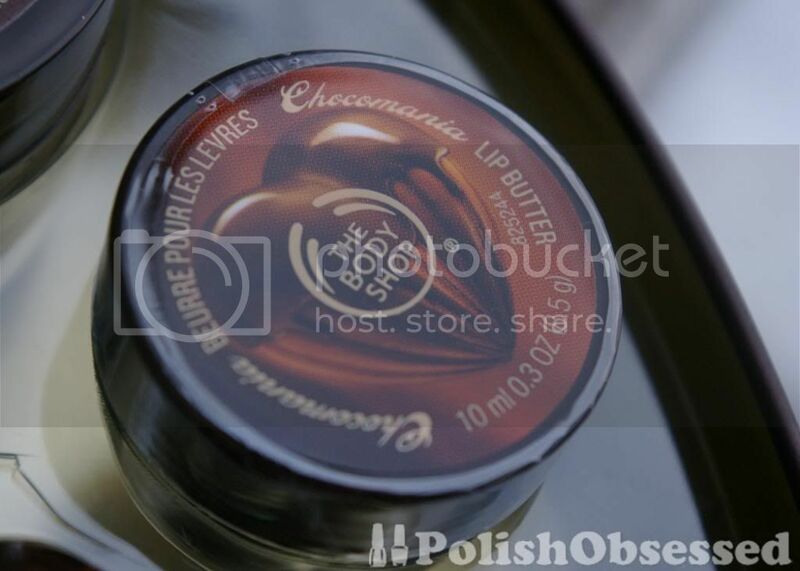 Your post on the Chocomania kit has changed my mind LOL, I think I will get that one too. 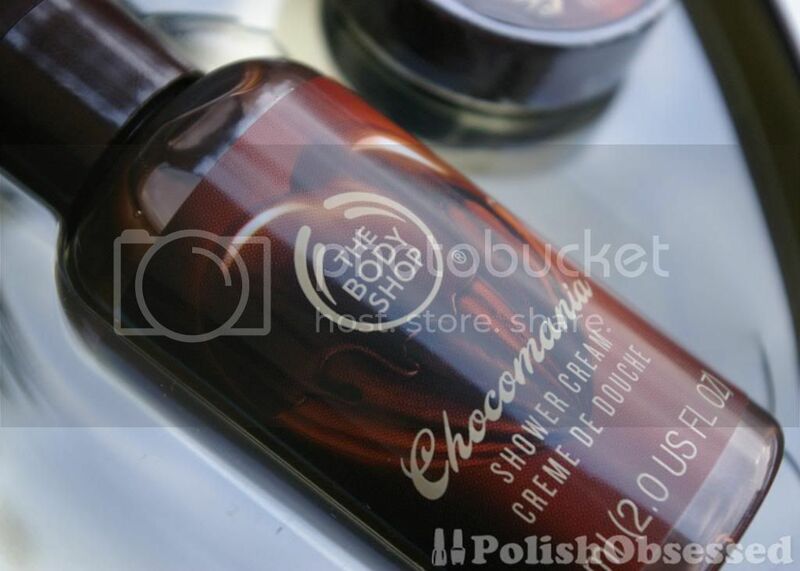 I love chocolate scents. Trust me this one smells good! check it out in store to see if it's what you like before you buy thought to ensure you like the scent as much as me! It is the first time I see a dupe for Mermaid's Dream and it is really looking good.